Tuesday was quarter-finals day at the 2017 Australian Open with Venus Williams and Anastasia Pavlyuchenkova first up on Rod Laver Arena. Venus prevailed in a tight two setter, 6-4 7-6(3) to reach her first semi-final in Melbourne since 2003 in yet another feel-good storyline. Welcome back to the semifinals, @Venuseswilliams. It's been a long 14 years. First #AusOpen semifinal in 14 years for Venus Williams — so impressed by what she's done this year. And this shot from Venus! Pavyluchenkova broke Williams’s serve four times in the match but on all four occasions she was unable to consolidate her serve, getting broken in the very next game. The Russian player is now 0-4 in quarter-finals. I thought this might be her time but not to be! I think she will get more opportunities in the not-too-distant future though. Anastasia’s press conference is linked below. The first semi-final will be an all-American affair – hats off to CoCo Vandeweghe who soared past the number 7 seed, Garbiñe Muguruza, 6-4 6-0 in another superb display. Muguruza won just ten points in the second set! Reading Muguruza's serve & outhitting her from the baseline, a focused & remarkably accurate Vandeweghe reaches her 1st slam semi, 64 60. I don’t like Vandeweghe’s attitude on court but to be honest, she came across well in her press conference. The semi-finals are all set in the women’s doubles. In the highlight of the quarter-finals, the number one seeds, Caroline Garcia and Kristina Mladenovic survived a first set breadstick and rebounded to take out the Aussie wildcards, Ashleigh Barty and Casey Dellacqua, 1-6 6-2 6-1. Andrea Hlavackova and Peng Shuai continued their bright start to the year, upsetting the number three seeds, Ekaterina Makarova and Elena Vesnina, 7-5 7-6(5). Eri Hozumi and Miyu Kato had another huge win, defeating the also unseeded pair of Mirjana Lucic-Baroni and Andrea Petkovic, 6-3 6-3. And the number two seeds, Lucie Safarova and Bethanie Mattek-Sands dropped just two games against Raquel Atawo and Xu Yifan. I can’t contain my excitement about tomorrow’s quarter-final between Serena Williams and Johanna Konta. For a full preview (and it’s a long one, I had many thoughts!) click on the link below. The poll has been changing between the two but at the time of writing, 53% of readers are going for Serena. The second quarter-final will open proceedings as Karolina Pliskova takes on Mirjana Lucic-Baroni. The pair have played five times with Pliskova leading the head-to-head, 3-2 and winning their last match in Wuhan in 2015, 7-6(4) 5-7 7-6(5). Their last three matches have all been pretty close but i’d go for Pliskova in straights as I think that Lucic-Baroni might run out of steam. 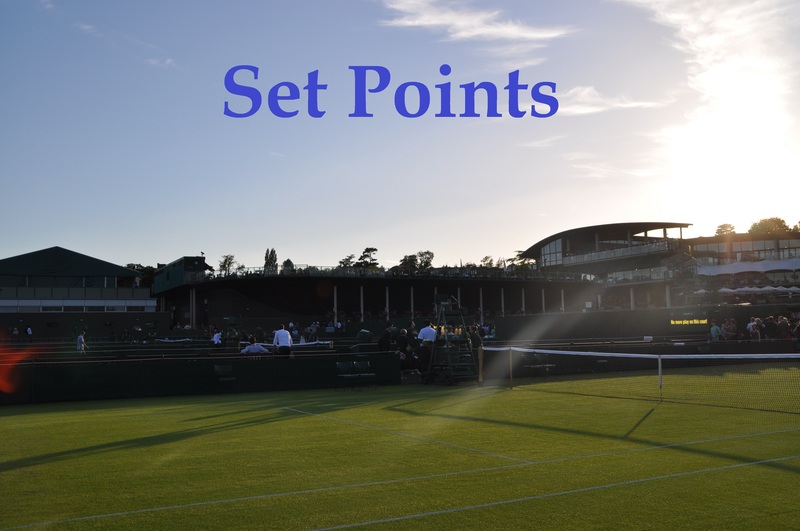 January 24, 2017 in Australian Open, Set Points, WTA. I’m looking forward to an all American final. Serena will be focus and aggressive. Markarova promblem was lack of agression and waiting for Konta to make a mistake. How about that average age of the 4 semifinalists ! Oldies but goodies with Coco the wannabe thrown in there. Me too! Tbh I want Serena to be the opponent. It’s not that I’m the biggest fan but I cannot get over the fact that MLB would be there. I know it’s a feel good story but I’d prefer Venus against Serena. It would be great to witness and I would be happy for either of them. Also, two black American women rocking (once again) the final would hopefully piss people (a certain Mr. President) off. loool it would piss off more than the President to be honest….majority of the tennis fans would be pissed off….u can just sense it everytime the williams sisters win games. I’m no Trump fan at all, but I doubt very much he has any kind of problems with the Williams sisters, since they’ve been to events hosted by him before. Deep down I want Venus to win the title. I hope Venus gets her serve together. From the 4 women left, she is my first choice, too. What a story of persistence that would be. However, Serena winning no. 23 would be great as well. You’re halfway there, jade. Kudos to Venus, thats how you stop the seemingly unstoppable. Coco was human after all.